Are you an iPhone 2G or iPhone 3G owner feeling left out by the lack of video recording on your iDevice? Rejoice because I have good news for you. 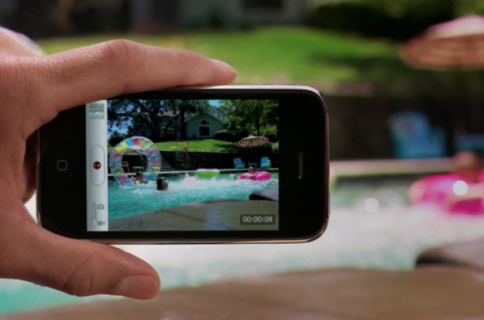 You don’t have to spend $$$ on the new iPhone 3GS to get video recording capability. This might sound like old news to some of our readers, but for those of you who don’t know, it is possible to record videos on your iPhone 2G or iPhone 3G thanks to an application called Cycorder. I wrote about Cycorder in the past but I think this app deserves more attention, especially from all the iPhone noobies (no offense). How to record video on your iPhone 2G or iPhone 3G? First, if you haven’t already done so, you’ll have to jailbreak your iPhone. If you’re hesitant about jailbreaking, understand it’s very safe and besides being able to record videos, there are many many other reasons to jailbreak your iPhone. Then simply launch Cydia and install Cycorder. One installed, open Cycorder and start recording videos. It’s that simple! When you record a video, it is stored as a .mov movie on your iPhone in /var/mobile/Media/Videos. Use iPhoneBrowser or SSH to get the video from your iPhone to your computer and then you can email it or put it on YouTube. Here is a video I shot a few weeks ago with Cycorder. It will give you a good idea about the quality of sound and images.